Aadi Allure is an ongoing Project in Kanjurmarg (East), Mumbai by Aadi Group. A joint venture between two real-estate groups –"The Leo Group" and "The Prashasti Group". The groups have more than 30 delivered projects till date. The project Aadi Allure is sprawled 4 Acers of huge land parcel. Aadi Allure offers 1 and 2 BHK Residence the luxurious and specious apartments in every space of corner. Aadi Allure offers excellent private views and is designed to offer optimum cross ventilation thus providing access to natural breeze and Sunlight. The building is well designed and located in a place that has a good surrounding, keeping in mind the requirement of our customers and it offers 1BHK and 2BHK luxurious apartments with the price range being between 74.1 lakh and 1.2 crores. 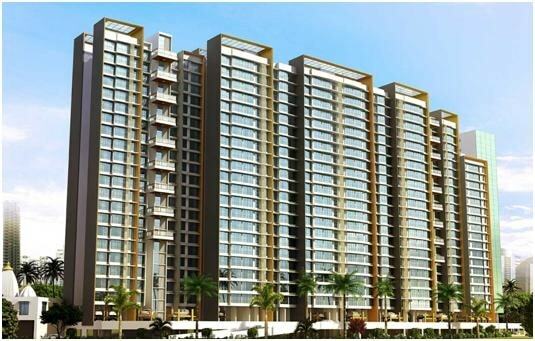 Aadi Group has launched Project, Aadi Properties Allure at Kanjurmarg. The apartment sizes range from 706 sqft to 1181 sq. ft.Allure by Aadi Properties will have 6 towers with 420 Units and will be 22 storeyed towers. Allure Kanjurmarg is spread within 4 acres land and which is surrounded by green areas and it assures the beautiful views of this greenery from each apartments. Aadi Allure is known for its unique amenities, location, architecture & connectivity as the project is situated in the east central side of Mumbai. Kanjurmarg hosts many corporate giants such as One World, DS Business Galleria, Crompton Greaves AkrutiCorprate Park etc. 2.8 kilometers from kanjurmarg station while the Chhatrapati Shivaji International Airport is just about 12 kilometres away. The area is home to many reputed educational institutions, hospitals, and shopping malls. Aadi Allure is constructed next to Pariwar Society, Kanjurmarg East, Mumbai. Aadi Allure comes with the world class amenities & full of comfort such as Organic Garden, Tulsi& Flower Garden, Lavish Sun-decks, Specious Deck, Toddlers interactive play area with outdoor toys sand pit and sensory play area, fitness centre and gymnasium, Steam room, Spa Children Play Area, Green Building, Energy Efficient Electrical Fixtures,High speed elevators, Multipurpose banquet hall & many more. Schools/Colleges: - SaraswatiVidyalaya, St.Xavier’s High School, IDUBS High School & Junior College, Pawar Public School, SahayadriVidyaMandir. Hospitals: -SaiSamruddhi Hospital, Yashwant Hospital, NuLife Hospital, Ankur Hospital, Powai Polyclinic & Hospital. Bus Stops: - KanjurMarg Village bus stop, Crompton Greaves bus stop, Siba Company Bus Stop, Tagore Nagar Bus Stop. Railway Stations: - Vikhroli Railway Station, Kanjurmarg Railway Station, Bhandup Railway Station. Restaurants: - Abhinandan Restaurant, Cream Chills, Kampa Restaurant. Bank/ATMs: - HDFC Bank, ICICI Bank, State Bank of India, Axis Bank, Kotak Mahindra Bank. Shopping Malls: -Galleria Shopping Mall, Huma Mall, D-Mart.